The Shell Malaysia Scholarship 2016 will be open for application from Monday, 11th January 2016 to Wednesday, February 10th 2016. 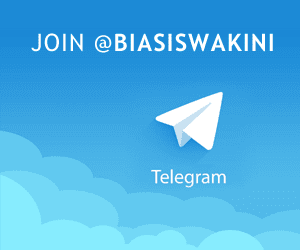 In the meantime, please submit your details to the Scholarship STC Link at here. Shell is always lookout for remarkable graduates that help them to pioneer new ways to meet the world’s demand for energy, to build and develop the capabilities of today’s talent that will ultimately contribute towards the development of this nation. Since its inception, Shell Malaysia has sponsored more than 1500 deserving graduates to pursue their higher education in various fields of studies relevant to the Oil and Gas industry. It is a platform for students who are intending or currently pursuing their full-time undergraduate and postgraduate studies in universities recognised by the Ministry of Higher Education Malaysia (MOHE), both locally and abroad. They are also encourage students with disability to submit in your application. - Minimum 3.2 CGPA or it’s equivalent at 1st Degree studies level. - Minimum 3.2 CGPA or it’s equivalent at Pre University Level i.e. Diploma/STPM/IB, or 2As & 1B for A-Levels /Foundation. Applications may be submitted based on the latest semester results (for Matriculation, Diploma ‘A’ Levels, Foundation or semester 1 for 1st Degree students) or trial examination results (for STPM students). 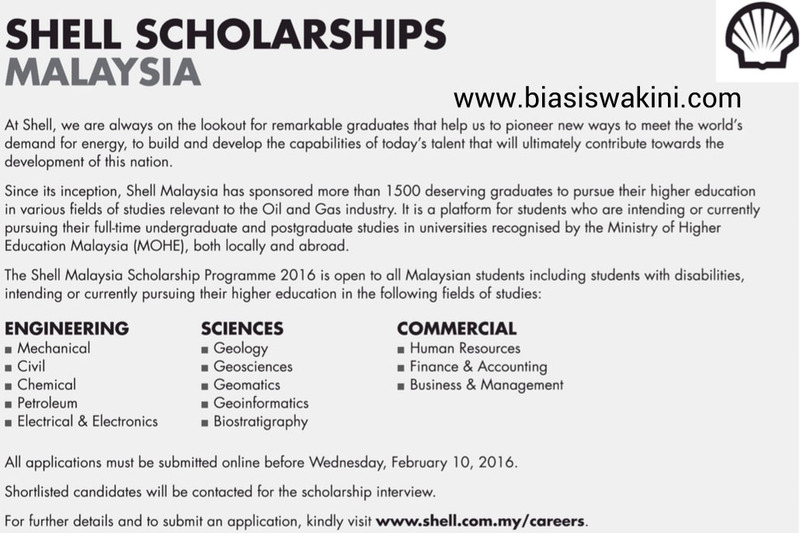 HOW TO APPLY SHELL MALAYSIA SCHOLARHIPS 2016 ? Please read the Shell Malaysia Candidate Guide to ensure a successful application. 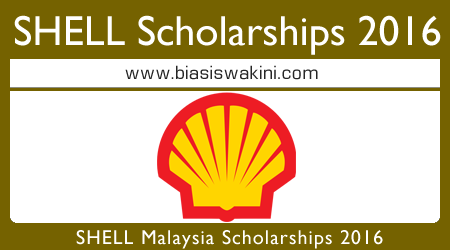 For detail information about this Shell Malaysia Scholarships, and the source info please visit Shell.com.my website. 1 Komentar untuk "Shell Malaysia Scholarships 2016 - Biasiswa Shell Local & Overseas"